This is a set of two Serpent 23mm Shock Springs. 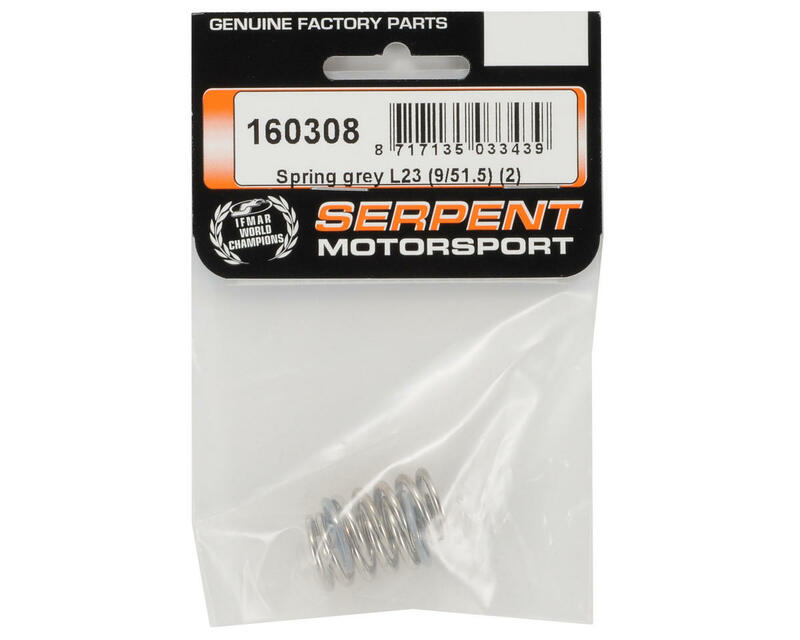 These springs are compatible with all Serpent shock absorbers. These 23mm shock springs are used on the front of the Serpent 1/8 scale vehicles, as well as the front and rear of Serpent 1/10 scale vehicles. 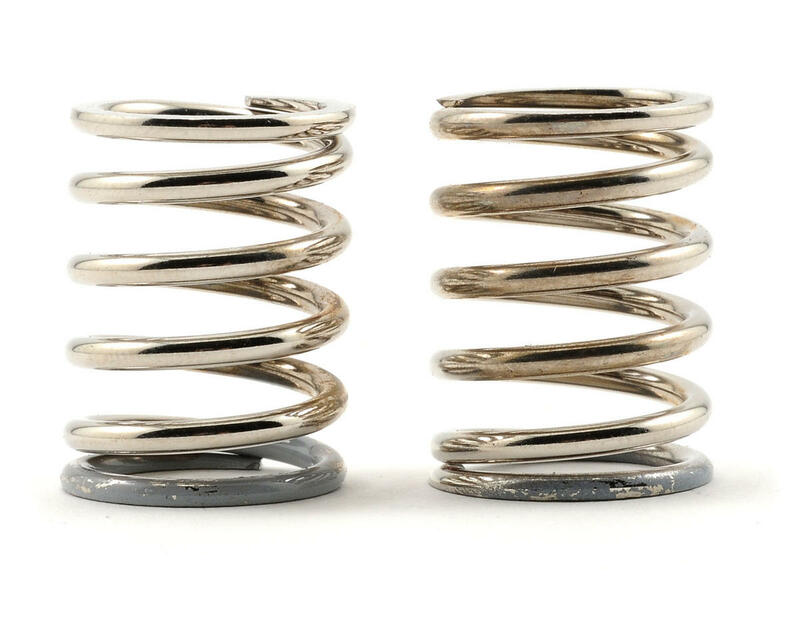 These springs are not painted, allowing them to function more accurately. The spring rate is identified by the color on the spring tip.